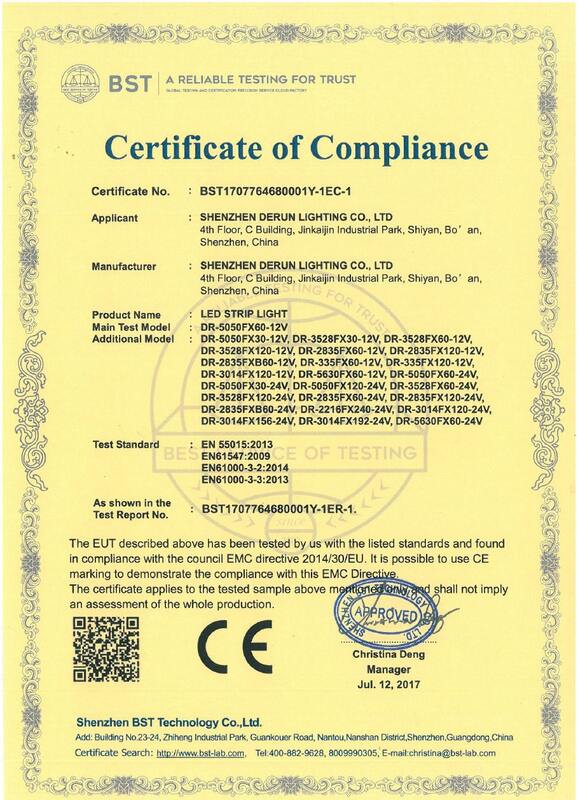 1.1 We are a professional China-based global manufacturer of High quality LED Strip lights. 1.2 Energy-saving & Low carbon-life products provider. 1.3 Business line: Flexible LED Strip Lights, Rigid LED Strip and accessories. 2.1 Our vision is of a world where society is in harmony with its life-supporting environment and within the available energy-saving and low carbon products to achieve sustainable development. 2.2 Our mission is to provide people and organizations high quality energy-saving products through LED lights: saving 90% energy compared to the traditional lights. 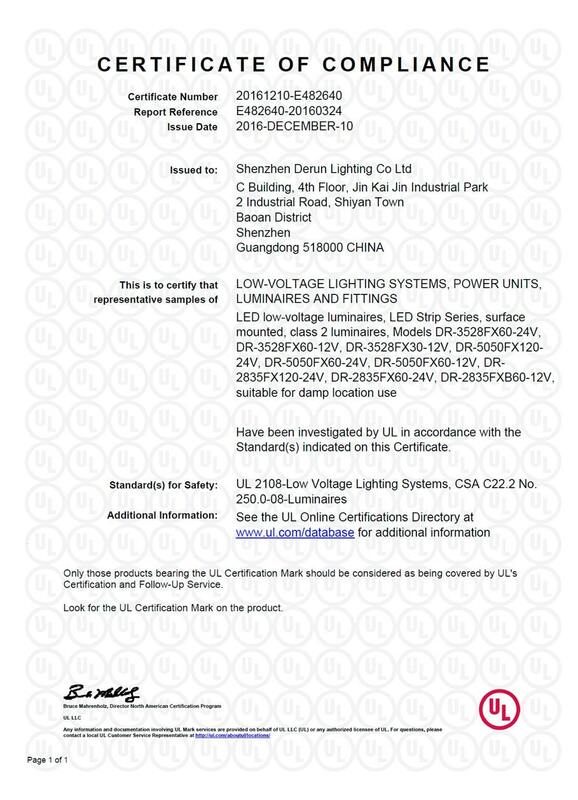 Shenzhen DeRun Lighting Co., LTD (DeRun Lighting Technology Co., LTD) is a China-based global manufacturer of Flexible and Rigid LED Strips, LED Shelf Lighting, Aluminum Profile for strips and LED Linear Light Systems. We only provide high quality LED products for our customers with high light efficiency (up to 150 lumens per watt), high CRI ( up to 95 ), long lifespan ( up to 50,000 hours ), 3-5 years warranty. Our main advantage is that our engineers can develop lighting solutions based on the needs of our customers. DeRun Lighthing was founded in 2011, located in Shenzhen city of China. With hard working and innovations these years, we have won a good reputation among customer & partners from worldwide. We consider high quality, competitive price, fast delivery and gold credibility as our business principal. Therefore, our customers & partners from different countries can enjoy a good pre-sales and post-sales service from us. 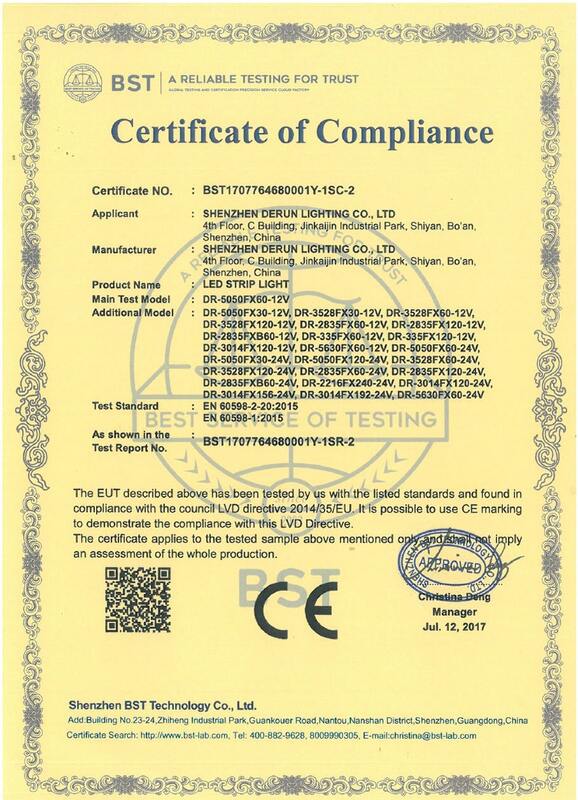 Moreover, every production procedure in DeRun Lighting is monitored by our quality control stuff and every item is checked by our QC Team. 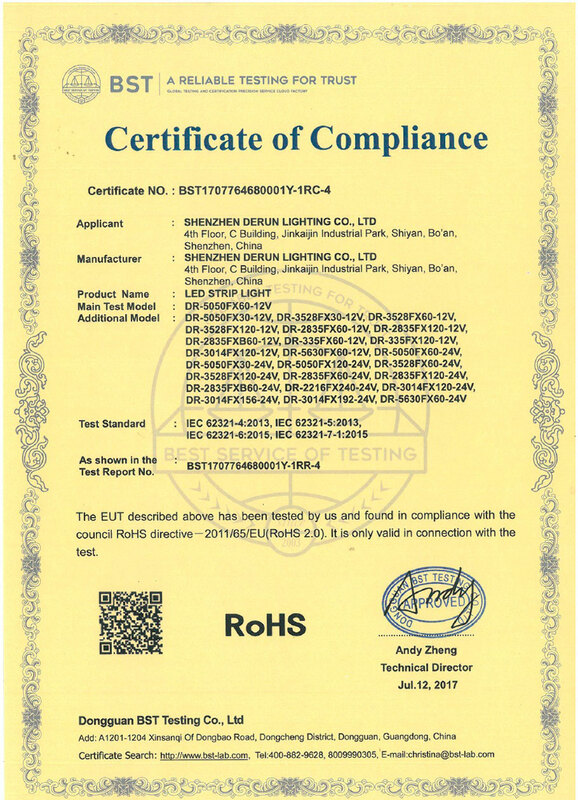 Most of our products are CE, ROHS, cUL & UL listed (UL NO: E482640). Welcome any partner from worldwide regarding LED Strips projects in your location. 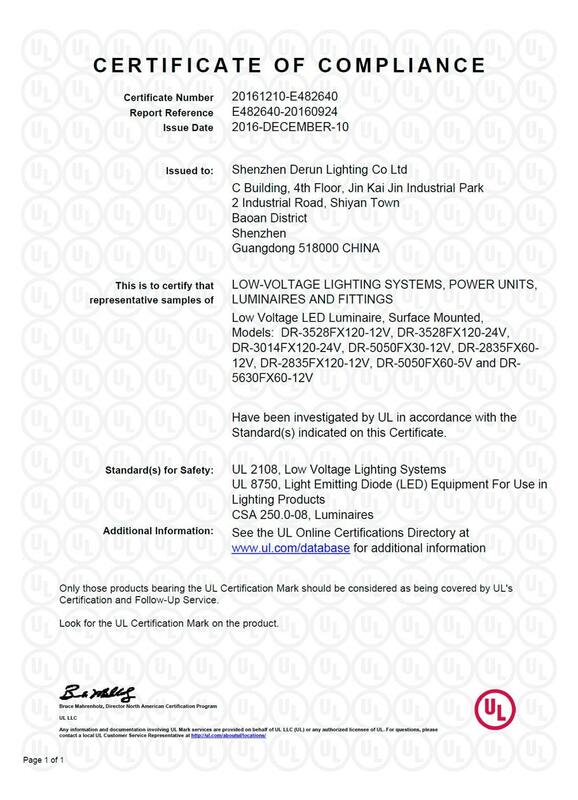 If you are looking for a professional and high quality LED strips supplier, please do not hesitate to contact us. With your support, we believe that all of us will grow stronger and create a better future!